Describe about mobile computing problem and their solution? Barthel et al. (2013) acknowledged that mobile computing is the new paradigms in computing system that perform the ways of revolutionize the propagation and acquisition to the agents of mobile. Kong and Tan (2012) argued that mobility of mobile computing provides support seamlessly for the movement of users, applications, data in any place and any location. Apart from that, wireless mobile networks are constraining the wide range of variables such as bandwidth, power of battery, storage space, etc. This study mainly focuses in identifying the problem of mobile computing that faced by the people. 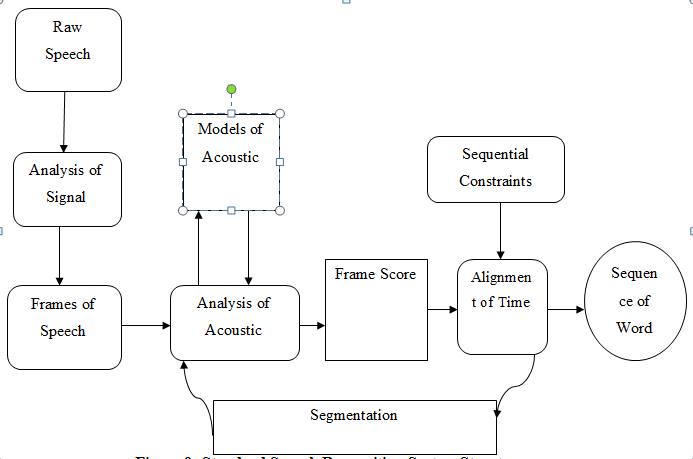 However, this study tries to demonstrate the new solution process of identified problem. Accessibility is the major issue in mobile computing. When the mobile devices move one place to another unannounced loss of network connectivity and face temporary problems. Apart from that, in terms of mobile computing major problem from the viewpoint of accessibility is the speed, lower bandwidth, network consumption, etc. Importance of mobile devices highly increases in recent years. Mobile computing pervade daily life not only in the power of phone but also in as the tablets or Smartphone. Fastest growing operating system and smalls devices changes the fundamental of computing service that relates to the human information with communication accessible at all place and all time. In these days, mobile devices are mediators of reach ubiquities services and applications as well as distal interface such as information kiosks, interactive, TV, etc. Mobile computing provides the facilities to people in reducing physical barriers and make free in interacting with the environment. Moreover, Jahanbakhsh et al. (2013) argued that mobile computing services are increasingly visual. For example, the touch screens replace keyboards without tactical feedback from the people. 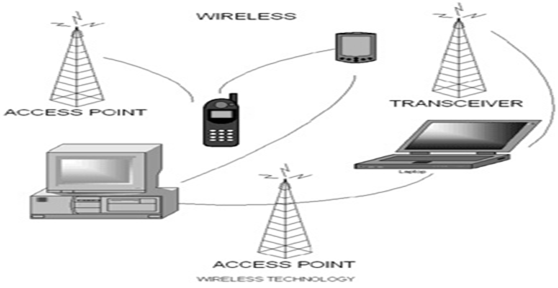 Wireless Communication is one of the important aspects of mobile computing that allows users in communicate the mobile device with others such as connect the mobile devices with the internet or share as well as access the network service. Conti (2011) depicted that wireless communication takes low power and it is lighter version rather than a stationary computer. However, wireless communication is more complex in terms of building the interaction system in a surrounding environment. The major problems of wireless communication in are the echoes, noise, block signal paths, etc. These are the error of wireless communication in mobile computing system. Apart from that, wireless communication in mobile computing has lower bandwidth and high security risk. Gatica-Perez et al. (2013) suggested that wireless network has much lower bandwidth rather than the wired networks. It delivers low as well as week signal to device than wired networks. Therefore, due to lower bandwidth of wireless network, designer of mobile device has to design network consumption with higher bandwidth in order to control. Apart from that, technology of software of mobile devices has to improve for effectively usage especially during the data logging request, perfetching, priority scheduling, caching, last write back, etc. Quality of network varies according to the movement of mobile devices across the network connections. As a result, the network of wireless environment exhibited high error rate. Due to high error rate, quality of service of mobile computing technology retransmitted as well as effected. Mobility is also another problem of mobile computing that need to be addressed. It has been identified that mobility has several problems such as dynamic changes of mobile computing network, affects current configuration parameters of mobile devices, etc. Roussos and Kostakos (2009) depicted that in mobile computing two types of mobility described such as mobility of resources and mobility of clients. Therefore, in mobility of client’s major challenge is the identification of unique naming and find out the present locations of clients. Information on location in mobile computing technology is configured dynamically, whereas it is statically designed in stationary computers. On the other hand, locations transparency in mobile computers is not properly efficient therefore, mobile computers provides the applications that underlying in the runtime system. Furthermore, disconnection is also occurred in mobile computing such as involuntary and voluntary. When the users of mobile computing service disconnect their mobile devices from wireless network, voluntary disconnection occurs. On the other hand, due to network failure in mobile computing, involuntary disconnections occur. Probability is also one of the great issues in mobile computing. The designers design mobile computing aspects in terms of carry the system always with the users. Therefore, battery power is the heart of mobile device. Therefore, small battery contains low power that undermines the value of probability. Major issues in probability of mobile computing system are smaller user interface, short storage space, high risk of loss of data, etc. Barthel et al. (2013) argued that mobile computers concerned limited power supply. In wireless network environment, limited supply of power is the big issue. In order to design several features in one small device, designer include fancy hardware in mobile computing that decrease the length of a battery life. According to Jahanbakhsh et al. (2013), improvements of hardware on batteries are able to reduce the weight as well as power consumption. Apart from that, in mobile computing operations of software are affected mostly in power consumption. Moreover, mobile computing has limited capabilities due to its small size and short capacities. The Infopad as well as ParcTab of mobile computers is designed with extreme probability. Therefore, it creates many difficulties during information access because majority of users put wrong typing methods into devices. Hard disk and static RAM of laptops or tablets are smaller rather than the stationary computers. These are the major problems of mobile computing. This work descries the new solutions for the above-mentioned problems with proper justification. Courtney (2013) argued that disconnection is the disconnection is the susceptible problem of wireless Communication. Disconnection problem in wireless communication arise during the designing of mobile computing system. The system of wireless communication for mobile devices was designed with the stand-alone unit instead of terminal of mobile. For the wide area connection majority of designer of mobile computing devices used the wasted processor clock cycle. As a result, brief disconnections are made and round trip latencies are raised due to operating asynchronously. The system of Coda file will be the best method for salvation of disconnection of these problems. The system of Coda file maintains the cache coherence of wireless communication system in mobile device at the multiple levels of granularity. Apart from that, validation of fast cache of coda file solution will perform in comparing the version stamps that maintain server as well as clients. Thus, it will help in validating the preserving system through call-backs. However the approach of coda file solution will provide the trade-off between the invalidation of communication system in mobile device and generates the speed of validation. It has been identified that wireless communication has lower bandwidth rather than the wired networks. Therefore, the bandwidth consumption is the major problems of mobile computing system. The devices of mobile computing service such as mobile phone, palmtop, tab, etc has militating transmission range. It indicates that, mobile computing service can fit in a specific location. Change of location creates lower bandwidth that increases network consumption. Compression, logging, perfetching and write back catching will be the major aspects of reducing lower bandwidth in mobile computing system. These are able to enhance the scheduling communication intelligence in mobile devices. Designer of mobile computing must to design the network system with great cope using network compression, perfetching system along with the variation of network bandwidth. It will be greater aspect of reducing lower network Bandwidth rather than traditional designs. Good design of a network improves the level of quality and increase the level of transceiver in network frequencies. However, designer of mobile computing service has to changes the access protocol system. IT will help in increasing the higher level of frequencies for mobile devices. For example, if the designer changes the access protocol in mobile device it switch the network of that particular device from cellular coverage to satellite coverage (Anon, 2015). Security risk is high in wireless communication system especially in mobile computing service. There are wide ranges of chance to hack the network in wireless communication for mobile computing system. Cross security domains will be the better aspects of reducing security risk in wireless communication. The designer has to implement the VLANs or the MAC address in mobile computing services. String encryption method will be the best strategy for secure data or information in wireless communication in mobile computing. Problems: With them ability of change locations volatility of some information was increased. Therefore, mobility system became much important for people due to their essential requirements. As the mobile computing ever changes locations, various problems are arise such as mitigation of address. For example, active network connection cannot change or move in new location. Privacy of data in mobility system of mobile computing is also the big problem. Solutions: Designers of mobile computing system need to provide manageable access and secure collaboration of data via engaging the Enterprise Mobility Management (EMM) comprehensively. It will provide the facility of secure access for mobile computing such as calendar, emails, message, images, personal information like word document file, etc. Apart from that, designer of mobile computing system need to implement BYOD solution method. It helps in empowering the working system of mobile devices such as Smartphone and makes it more productive. Streamline process in mobile computing also allows in deriving the excellent business performance. Power is the most important thing of mobile devices. Battery is the heart of the mobile device. However, batteries are largest sources in mobile computing services. Therefore small batteries have major problems such as need to frequent recharge, small size as well as capacity of batteries. Power consumption in dynamic components is the major issue in mobile computing especially in mobile device. In order to solve the low power in mobile devices, designer of mobile computing system need to follow the guideline of Heterogeneous System Architecture. It will allow the designer in combining the GPUs and CPUs of mobile computing aspects. Thus it allows in reducing the energy consumption in mobile device. Moreover, The architecture of heterogeneous system will allow in eliminating the power robbing interface between the enables on chip management and chips. This tool reduces the power from integrated component of mobile computing devices and efficiently allocates the resources of power. This process boosts the battery life of mobile computing devices by reducing heat and weight. Apart from that, Jahanbakhsh et al. 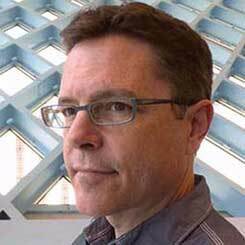 (2013) opined that Heterogeneous System Architecture is boosting the devices powered processing efficiency through routing and selecting the workloads. On the other hand, Park (2014) demonstrated power management is also centred the low power issue. According to Lorenz and Oppermann (2009), it is also an idle state for mobile devices in terms of low power. Power management system allows designer of mobile computing device in designing architect of very low power idle state that create flexible chip configuration and reduce the requirement if high voltage. Thus, power management architect will improve the power consumption from mobile devices. In order to secure the data and prevent data from unauthorized access, need to implement the encrypted format in memory space. For example, setup a password in memory will allow to protect data or from being hacked by other users. In order to prevent loss of data, users have to keep a copy in the portable unit for safeguard. Sometime, it has been identified that, user neglect to set password for backup of data due to complexity. However, the user of portable computer needs to set password for their backup copies in terms of protecting data in wireless network. It has been identified that the current technique of windowing in mobile computing are inadequate. It has been also seen that majority of users uses multiple application at a time. Due to slam screen, they are unable to handle the screen properly. Marta and Cardei (2009) cited that shortage space of portable computer screen may not feasible rather than the trade-offs button. In order to handle the short size PDA especially in portable computer need to design the form of feasible handwriting or gesture recognition as well as voice recognition. Lumsden (2013) claimed that if the designer of portable commuter implements this feasibility technology in the user interface, it could help the user of portable computers to handle the devices or application with 90 to 95 percent accuracy. Due to power requirement and shortage space, storage spaces in mobile computing devices are limited. Green Data Storage Technology will be the best solution for mobile computing technology. The technology of Green Data Storage will increase the media capacities. However, the technology of Green Data Storage is easy to use from the viewpoint of backup and restores the data. This technology maintains the ethics of legislation and compliance of data. SLA enhances the disaster recovery for data in mobile computing service. Coda File System: In 1987, Carnegie Mellon University developed the Coda file system that is also known as the constant data availability. Coda file system brings the transparency and consistency in network that reduces the disconnection in wireless communication especially for mobile computing. Constant of Data and Scalability functionalism of coda file system brings availability of signal for portable computer and mitigate the chance of disconnection the devices from wireless network. 96 bit long unique file identifier helps to improve the signal capacity. Rahmati and Zhong (2009) argued that hierarchical structure of Coda file system replicas the files that have same ID. 64 bit replication volume identifier uniquely identifies the large number of volume within wireless network. Multiple logical volumes of Coda file system mapping the physical volume of portable mobile device that replicate several servers. Implementation of Coda file system allows designer in making available the signals across many server. Coda file system helps in catching signal at mobile devices and reduce the disconnect mode of operations. RPC2 of coda file system sophisticated that reliable system that prevent new threat in server and informs the mobile device user periodically. Coda file system allows in catching files onto mobile computing device with the help of multicast RPC. The data structure of Coda file system such as Volume Storage Group (VSG) and Accessible Volume Storage Group (AVSG) are assisting in setting the server for access or storing the file in mobile devices. This encoding method simply matches with the prefix property of mobile computing network. Thus, it is able to share same encoding method properly. On the other hand, LZW compression algorithm allows in taking each input in the sequence of 12 bits and develops the entry in network. However, this particular pattern of bit consists and shorter code of LZW algorithm result effectively the total amount of compression. The algorithm of DMC (Dynamic Markov Compression) in data compression allows in initialize the model via expanding the cloning operation. This particular algorithm allows the network system of mobile computing to expansion continue based on the selective merging in less memory. String Encryption: In order to secure data in wireless communication for mobile computing, designer need to implement the string encryption method using the VLNA or MAC IP address technology. TDES, AES or the DES encryption methods allows the designer in designing secure networking system for mobile computer. However, Weyl (2014) argued that AES or DES encryption method specify the appropriate path during changes of locations or changes of IP address to mobile devices. The algorithm of string encryption method provides the public and private key that maintains proper security of data or information when sharing this through mobile computing technology in wireless network. ASCII value string encryption method translate the path of wireless communication for mobile computing and select the appropriate path of sharing data to the authenticate user. Park (2014) opined that string encryption methodology increased 33 percent security to mobile computing rather than tradition sharing in wireless communication. In order to mitigate the mobility problem in mobile computing, new multi-platform cloud based EMM (enterprise mobility management) enables to management corporate and easy secure. BOYD will allow the system of mobile computing via supporting the control of costs and flexibility. Mobile device user free from installing hardware or software server. They access data via log in into system. In order to reduce the issue of mobility in mobile computing, designers has to identify the potential resources such as central services, forwarding pointers, home bases, selective broadcast. Designer of mobile computing has to design the current address of mobile units. Security policy and compliance monitoring as well as configuration provide easy deployment and activation in mobile devices. In order to identify the locations of mobile user, designer has to design the answering dynamic locations queries. Proper resolution will be the best methodology in mobile computing. Apart from that, access information will be protected via code or other security technology due to misuse. Cloud Base EMM (Enterprise Mobility Management) system allows the end user or the portable computer user to perform common management task such as change of password, setting up the profile, and lock without relying of the administrator, etc. Apart from that, management solutions system of cloud-based technology is the process of cost effectiveness. Use of cloud based Enterprise Mobility Management system in mobile computing is easy process. However, oin order to implement the cloud based Enterprise mobility Management in mobile computing no software or hardware requirement needed. Moreover, it is very much easy to maintain. Vendor of cloud based enterprise mpbily management such as AirWatch, IBM, Amtel, Critix, etc provide wide range of solutions method in mobile computing technology. Heterogeneous System Architecture: The AMD AND ARM foundation developed the system of Heterogeneous architecture. This system is mainly used in mobile computer technology in terms of power management. Battery is the heart of mobile devices therefore heterogeneous system architecture allows the designer in integrating CPU (Central Processing Unit) and Graphics Processing Unit (GPU) in same bus. It indicates that both the system runs in one bus and shared task as well as memory using low power. It helps in reducing power consumption in mobile devices. Voice Recognition Technology: In order to solve the problems due to smaller user interface in mobile computing devices, need to design voice recognition application for Smartphone both Android ad IOS. For the IOS based mobile devices, designer has to integrate Dragon Search application or Dragon Dictation voice recognition applications. Gatica-Perez et al. (2013) argued that it will allow finding out or closing everything from text in IOS based mobile computer such as messages, notes, Facebook, WhatsApp, Twitter, etc. This method is five time faster rather than typing in search box criteria. Weyl (2014) claimed that FlexT9 is the better application for Android based Smartphone. It helps in switching the between different input modes. In order to implement the voice recognition technology in mobile computing, several algorithms such as dynamic time wrapping, hidden Markova model, Neural Network, etc have to involve. Moreover, the implemented dictionary for voice recognition technology in mobile computing requires wider popular languages. Apart from that, vector of each word match according to the sound and covert the sound into appropriate group of characters. Dynamic time wrapping algorithm will be the simplest way of implementing speech recognition technology in mobile computing especially for the laptops devices. It will be the better method of finding optimal non-linear alignment in mobile computing technology. On the other hand, Hidden Markov Model, discrete the time step and generate the state of output symbol. Neural networks will be the best method in developing individual unit during the activation of new level. Green Data Storage Technology: This technology empowers the storage capacity especially for the device of mobile computer such as mobile phone, laptop, palmtop, tab, etc. Implementation of Green Data Storage Technology saves the energy in portable computer via turning on or off the light based on purpose of devices. PCFE methodology of green data storage technology particularly serves the networks and storage that consolidate the mobile computing system by empowering the performance of portable devices, availability of storage space, improvement of security, compatibility with other device, etc. The technology of mobile computing grows higher and higher and becomes most popular rapidly. Therefore, users faced major problem in accessibility when they use mobile devices such as network problem, security, lower bandwidth due to movement, etc. For this problem, middleware technologies have been provided which is the best method to simplify accessibility issue in mobile computing environment. The major aspects of middleware technologies are security identification and management, distribution, sharing of resources, heterogeneity that helps in building verified and solid mobile computing system. Anon, (2015). [online] Available at: https://www.ijarcce.com/upload/2013/august/32-h-Rahul%20Mannade%20-Challenges%20of%20Mobile%20Computing_An_Overview.pdf [Accessed 8 Jan. 2015]. Anon, (2015). [online] Available at: https://ifiptc8.org/Research/theses/wiredu.pdf [Accessed 8 Jan. 2015]. Barthel, R., Kraner, A. and Haupert, J. (2013). Mobile interactions with digital object memories. Pervasive and Mobile Computing, 9(2), pp.281-294. Conti, M. (2011). Special section on Mobile Opportunistic Networking. Pervasive and Mobile Computing, 7(2), p.159. Courtney, M. (2013). Upwardly mobile [mobile computing]. Engineering & Technology, 8(7), pp.56-56. Gatica-Perez, D., Laurila, J. and Blom, J. (2013). Special Issue on the Mobile Data Challenge. Pervasive and Mobile Computing, 9(6), p.751. Jahanbakhsh, K., King, V. and Shoja, G. (2012). Predicting missing contacts in mobile social networks. Pervasive and Mobile Computing, 8(5), pp.698-716. Kong, F. and Tan, J. (2012). DietCam: Automatic dietary assessment with mobile camera phones. Pervasive and Mobile Computing, 8(1), pp.147-163. Lorenz, A. and Oppermann, R. (2009). Mobile health monitoring for the elderly: Designing for diversity. Pervasive and Mobile Computing, 5(5), pp.478-495. Lumsden, J. (2013). Developments in technologies for human-centric mobile computing and applications. Hershey, PA: Information Science Reference. Marta, M. and Cardei, M. (2009). Improved sensor network lifetime with multiple mobile sinks. Pervasive and Mobile Computing, 5(5), pp.542-555. Park, J. (2014). Mobile, ubiquitous, and intelligent computing. Berlin: Springer. Rahmati, A. and Zhong, L. (2009). Humanâ€“battery interaction on mobile phones. Pervasive and Mobile Computing, 5(5), pp.465-477. Roussos, G. and Kostakos, V. (2009). rfid in pervasive computing: State-of-the-art and outlook. Pervasive and Mobile Computing, 5(1), pp.110-131. Weyl, E. (2014). Mobile HTML5. Beijing: O'Reilly.